Laboratory mission: To help directors and producers, who work in the field of documentary film, build dramatic composition of the future movie. Projects are accepted at any stage - from the idea to films already in the production or in the post-production phase. Activities: Analysis and discussion of the project and its visual material, working on the script and dramatic structure of the film. Kinds of work: individual counseling, master classes, working in groups. 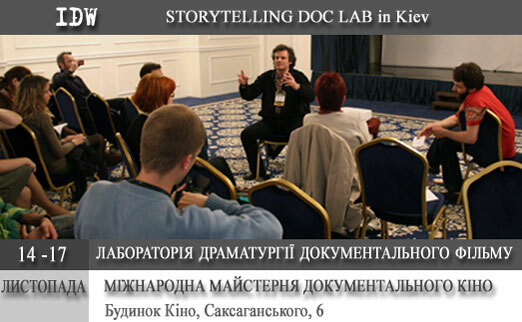 Masters and mentors: international experts, well-known documentary filmmakers and producers. Participation is free. No age limits. No special education is required. 10 projects will be selected for the Laboratory. Each project may be presented by a maximum of two people (director, producer/screenwriter). Projects are picked out on a competitive basis. 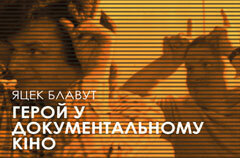 The Laboratory will take place at the Cinema House, 6 Saksaganskogo st. Applications are being accepted until November 4, 2013, 6:00 p.m.